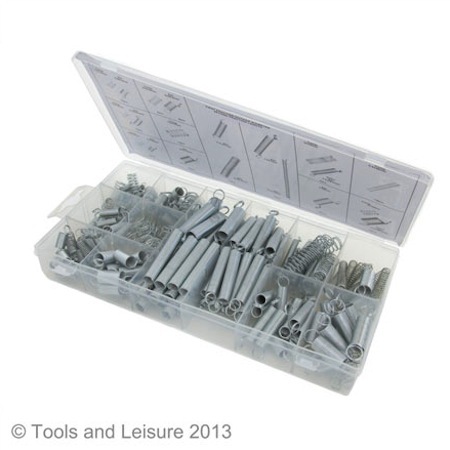 Comprehensive spring assortment pack from Fixman by Silverline Tools. The 200pc (approx) spring pack contains: Compression springs 9/32’’ - 1 1/2’’, Extension springs 13/64’’ – 17/64’’. BZP spring steel for corrosion resistance. Can be squashed or stretched depending on spring type. Comes complete with a plastic storage box for when not in use. 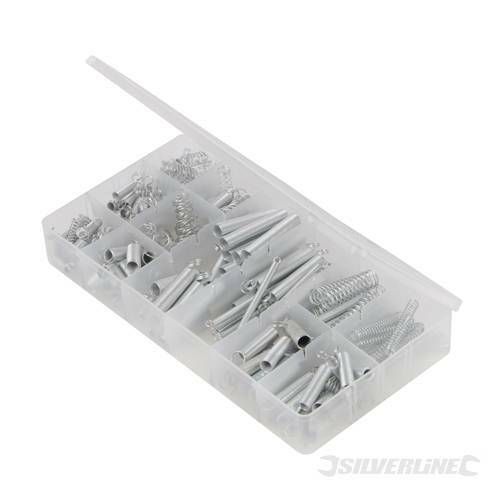 An excellent selection of springs by Fixman from Silverline Tools.